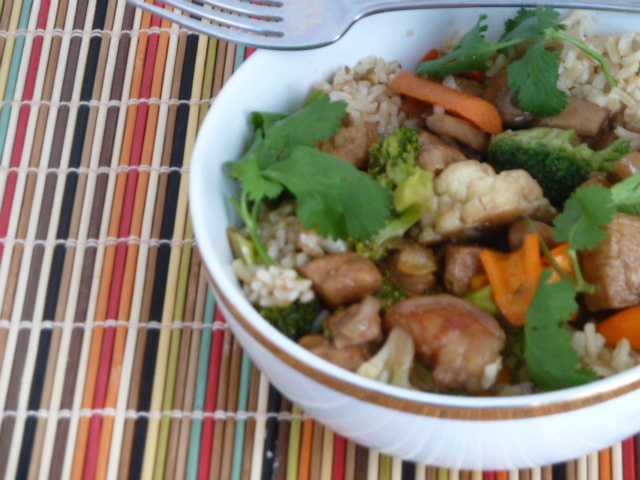 Stir fry is a wonderful thing, especially when you have leftover vegetables from a Cheese Fondue Party. We had leftover Mushrooms, Broccoli and Cauliflower. besides the mini bell peppers, onions, and cilantro, that we had in our fridge. All we had to add was about 3/4 pound of chicken breasts. You could also use pork, shrimp, or beef, whatever meat you have on hand. And then there is the sauce. We had leftover sauce, Honey Orange Sauce from the sauteed shrimp that we had at the fondue party. That sauce is amazing. 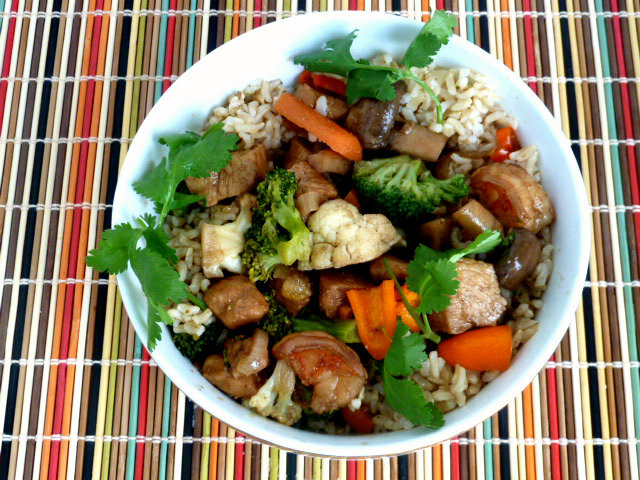 We now have had the sauce with Pork Tenderloin, Sauteed shrimp, and Stir Fry Chicken.. The possibilities are endless. The sauce has such a sweet, tangy, flavor with a bit of salt. I'll warn you that it's very addicting. We are already planning the next dish to use the sauce. If you make this dish or just the sauce, please let me know how you liked it. This dish is so quick, easy and delicious for a weeknight dinner. Besides being so colorful and enticing, it is low fat, and low sodium. Enjoy! Any fresh vegetables of your choice, mushrooms, broccoli, water chestnuts, Baby Bok Choy, etc. Cauliflower, etc. 1 1/2 tbsp minced fresh garlic. Oh what a great dish! I love this stir fry - full of flavors and goodness - love that you use orange marmalade! This Stir is so good and colorful The orange marmalade makes this sauce. Can't wait to give this a try, I love asian inspired dishes! 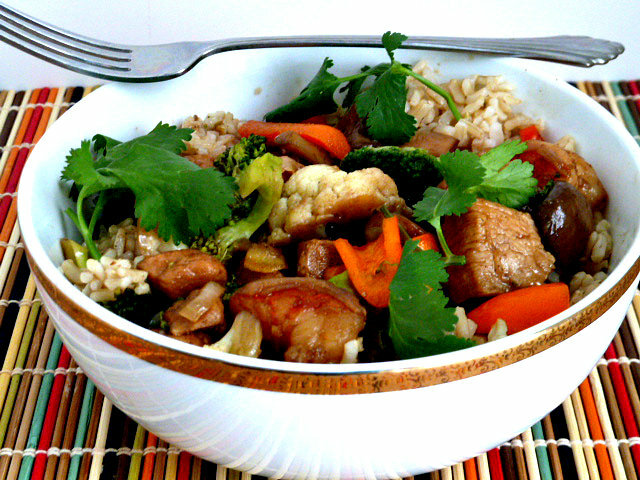 This a flavorful, easy dish, that can be made for a weeknight meal. Thank you so much for sharing this chicken stir fry with honey orange sauce. I'm sure to try it this later for my dinner so that my family can taste it also. Keep on sharing!